Today you get a photo essay! 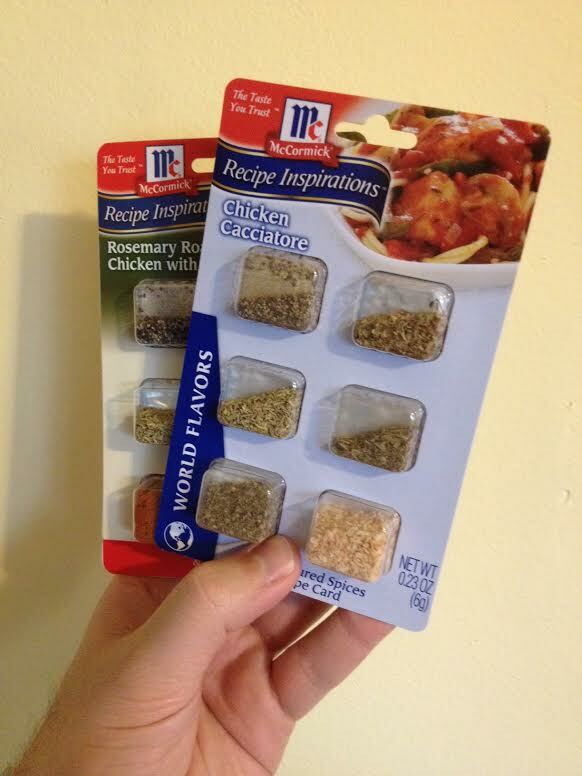 It all started when I came across these fun little spice packs in the grocery store a few days ago. They were only $1.89 each so I bought two of them! It’s a collection of spices with the recipe to make that dish on the back. It kind of made me laugh because it’s nothing fancy, and nothing I probably didn’t already have at home in the spice cabinet. What’s next? A pack of salt with a recipe for french fries on the back? I’m not a fan of chicken but this dish looks delicious. Thanks for being the “guinea pig” for me. I’ve seen those spice packets at my grocery store and have been snobbish about them. I’ll have to give them a try now. We are spice snobs too! We grow our own in the summer and dry and preserve them. So we rarely buy more than salt and pepper. But this spice pack obviously worked – it got us to make the dish! And it was quite tastey!